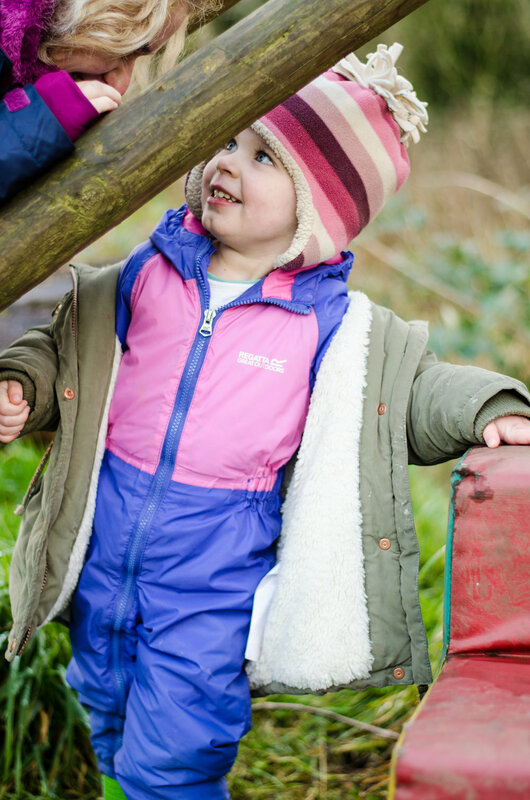 Forest School happens across the nursery daily in some way, shape or form. When in the Den your children have a dedicated slot for a Forest School session with myself, and either Jess or another member of the Den team. 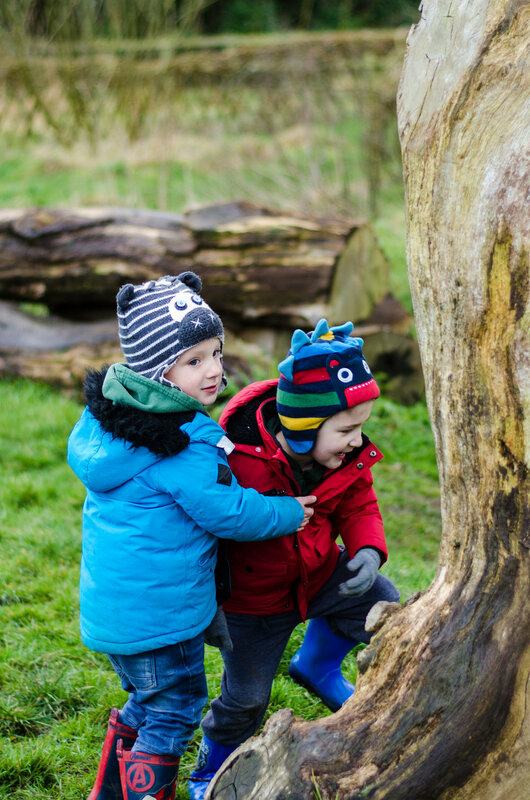 But what should you and your child expect from a typical Forest School session? Here's a blog to hopefully answer this question with a few photos I snapped from the start of the year! All our sessions start the same. We role call the names of the "chosen ones" and we use the toilets before assessing with the children what kind of outdoor clothing we will need. As you may have noticed, waterproofs and wellies have featured rather predominantly of late judging by the state of the floor in the cloakroom and by the piles of dirty clothes coming home! At least you can tell they've had a good time! Once changed we plod up to the cabin and find our seats. A quick hand wash and we're ready to fuel up minds and bodies for the session ahead. You may also have noticed (from the delightful aroma on your children's clothes) that we quite frequently have a fire in our fire bowl in the cabin to keep the children toasty, as well there being hot fruit tea available to warm from the inside as well. We shouldn't put things in our mouths - as obvious as this sounds, we have a few plants growing around Free Rangers that could do a bit of harm if ingested so reminding the children of this each session is a good idea. This is also goes for snack dropped on the floor or reminding the children that licking a wellington boot or a frosty tyre will not go down in history as one of their finer moments. We respect the fire - especially during the winter months we quite often have a fire to keep the cold at bay. 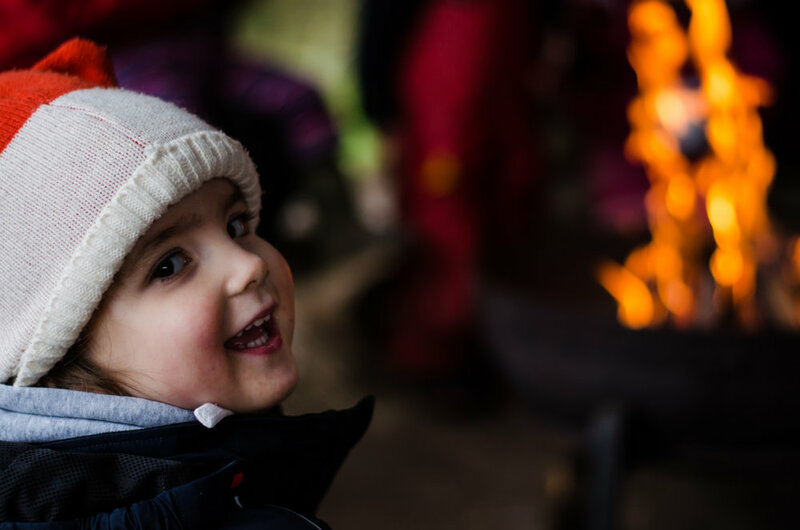 Fire, as useful a learning tool as it is, can be extremely harmful if not appropriately managed by us and the children, who take an active part in building, lighting and maintaining them. We also discuss how the children should behave and move around the fire, as well as what they should do if they burn themselves. Let the adults know, then you can go! 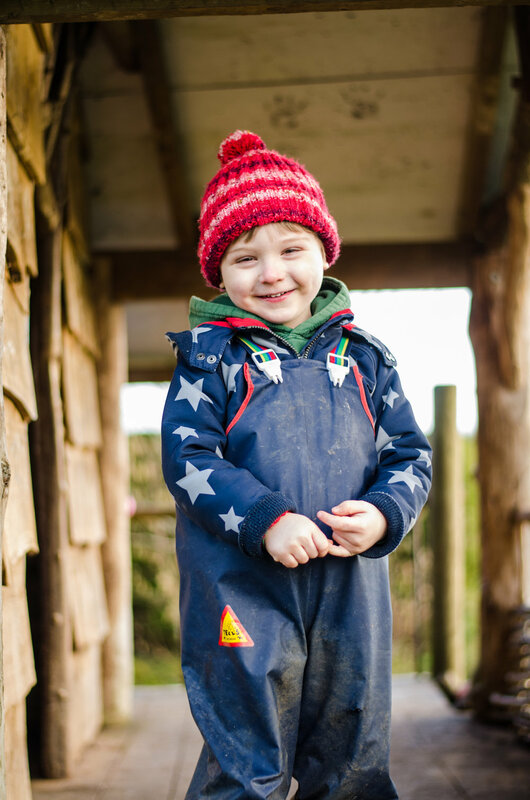 We give the children as much freedom as possible on Forest School to choose where and what they want to do during their time outside. They give the adults the heads up on where they're heading and then off they go. Expecting a 3 year old, mid-play, to remember to tell an adult if their play space is about to change is quite the ask, so if they do wander a bit further afield than expected, instead of calling them back, we play a "Marco-Polo" style game of 1, 2, 3 Where Are you? which the children shout I'm over here! in reply. Forest School changes throughout the year, with different seasons opening up different experiences in different places with different challenges. 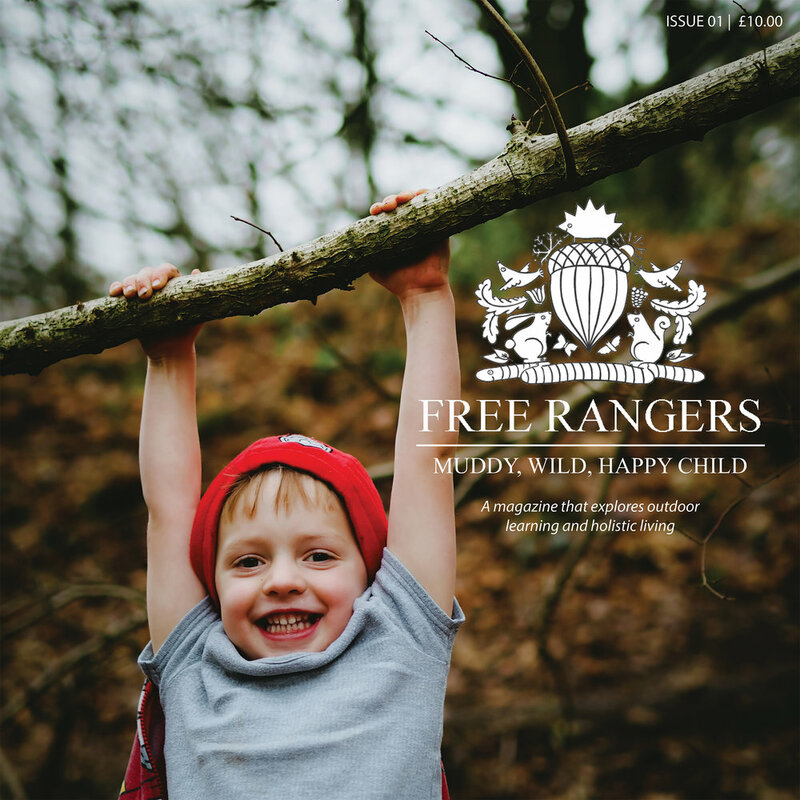 We're really lucky at Free Rangers to have access to such a rich and varied environment on our doorstep, which not only adds to the variety of the sessions but will ultimately provide a deeper and more memorable learning experience. 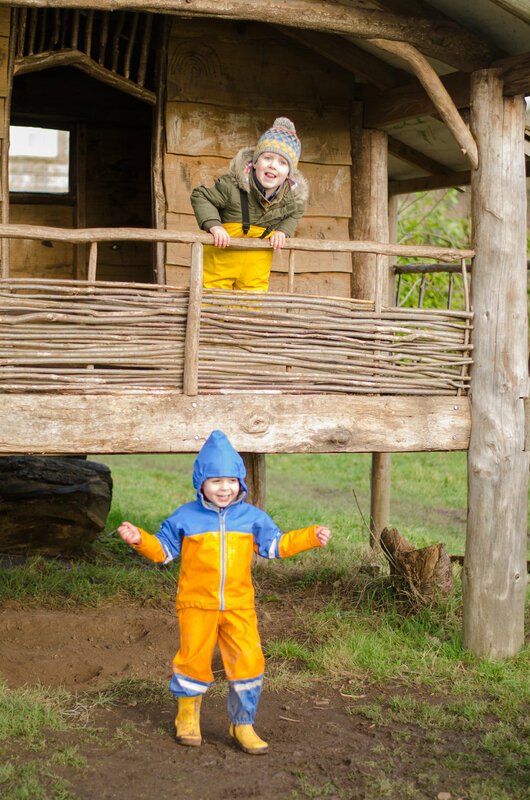 On a typical session you could see your children exploring the ground for bugs and creepy crawlies, jumping in muddle puddles, climbing trees, using a range of different tools like saws, axes and knives, walking down to the brook or woods, playing hide and seek, building and creating, chopping down willow, building and lighting fires, chopping up wood for the fire, picking fruits from the orchard, spotting horses, making bird feeders; the list is endless! What's not to like about that! Sounds pretty good doesn't it?! I count myself incredibly lucky to be able to share in these experiences with the kids and help guide them through the wonders of the great outdoors, and we pen these blogs to give you a little taste of what your children have had the chance to do (Instead of getting the "I haven't done anything today" response!). And with everything we do at Free Rangers, we continually strive to make it better, so that with each year we're improving on the last. If you've got any suggestions, we'd love to hear them! Here's a video we made last year to share some of the fun we get to experience as practitioners.